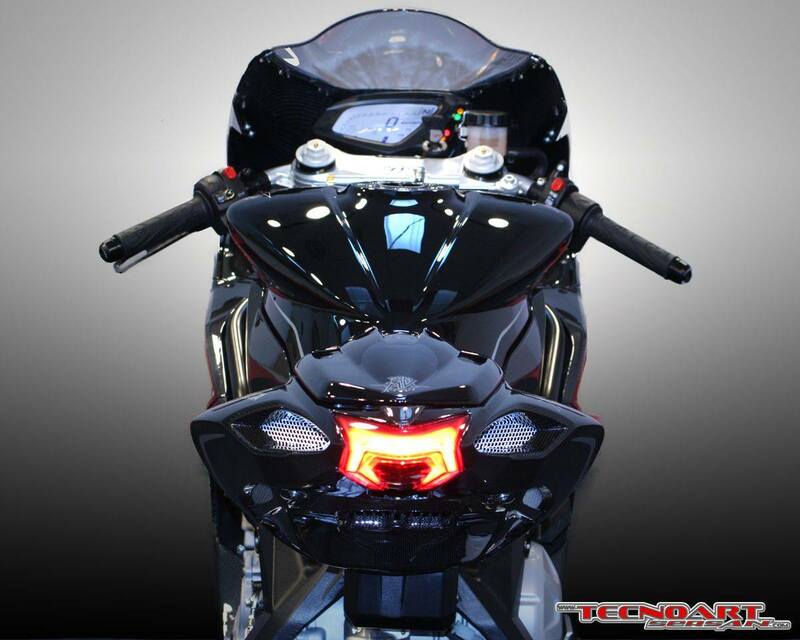 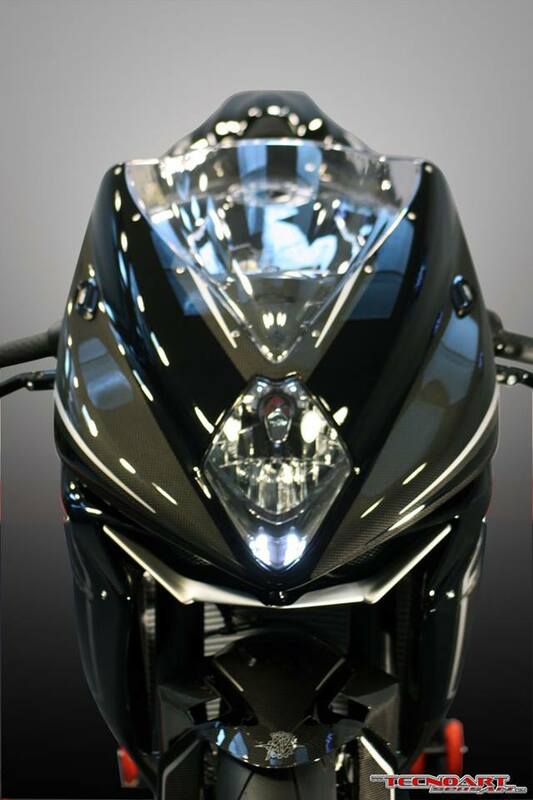 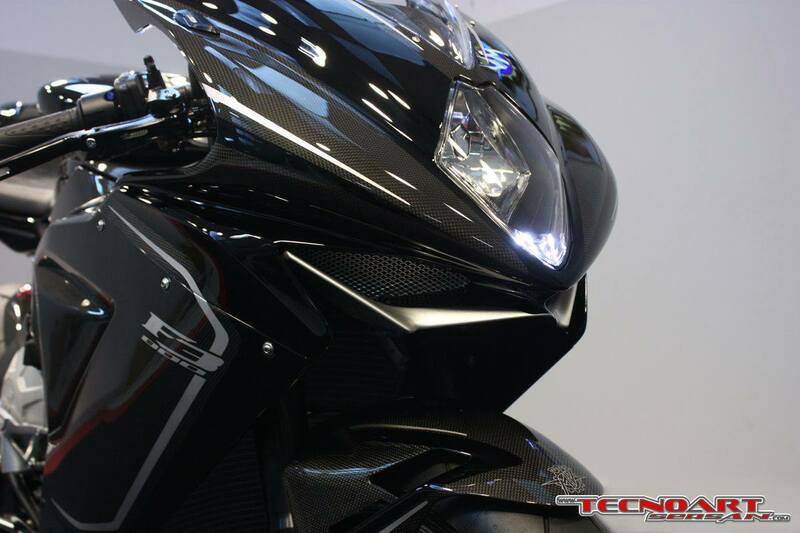 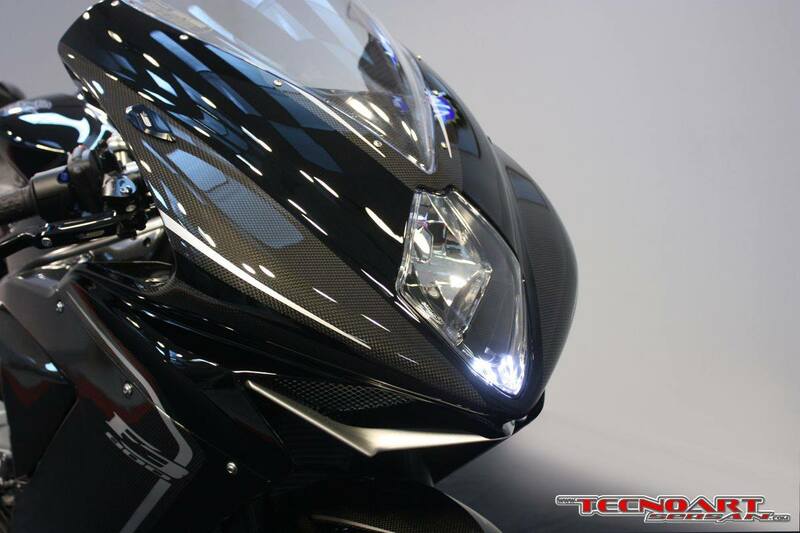 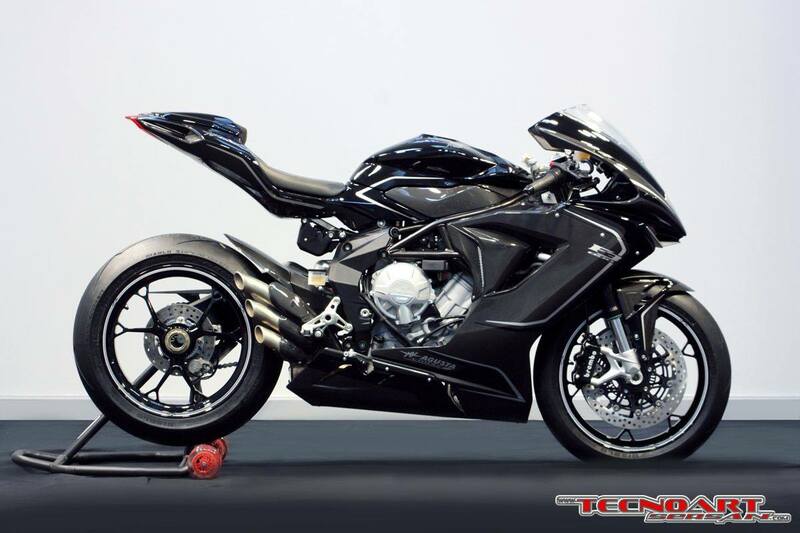 Oscura is Italian for "Dark", and this bike could hardly be baptized with a better name. 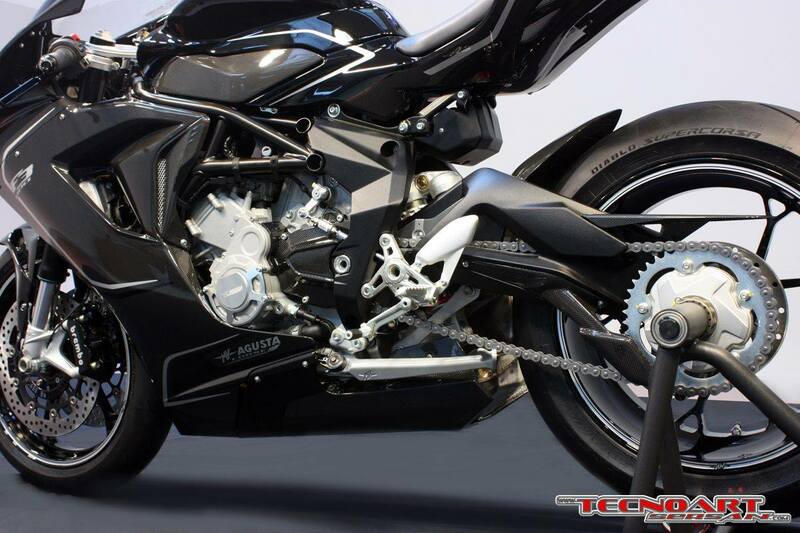 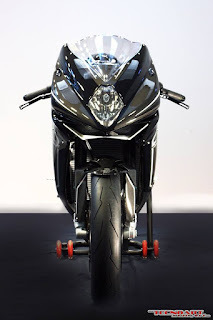 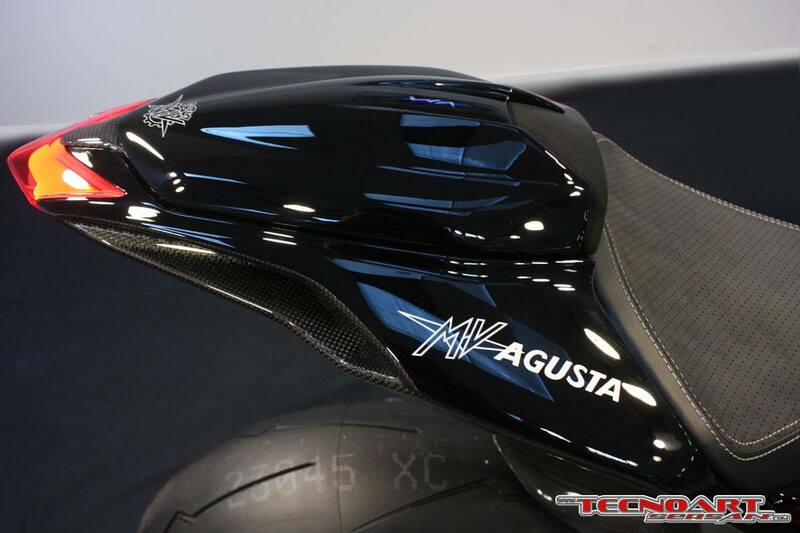 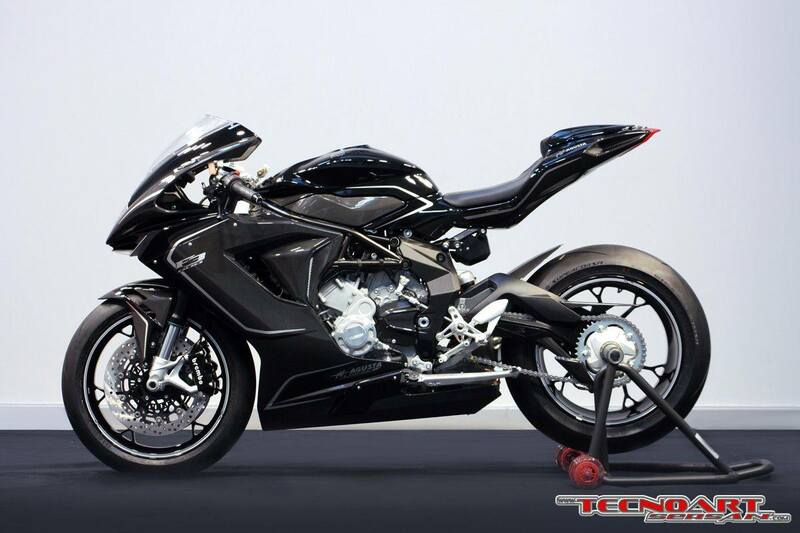 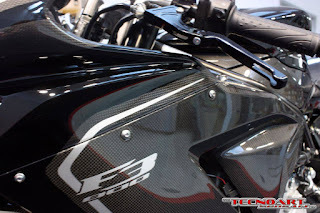 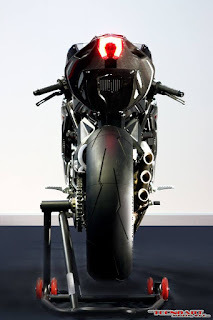 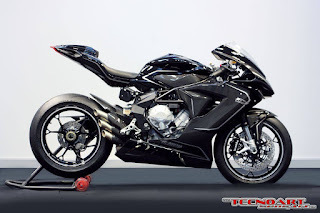 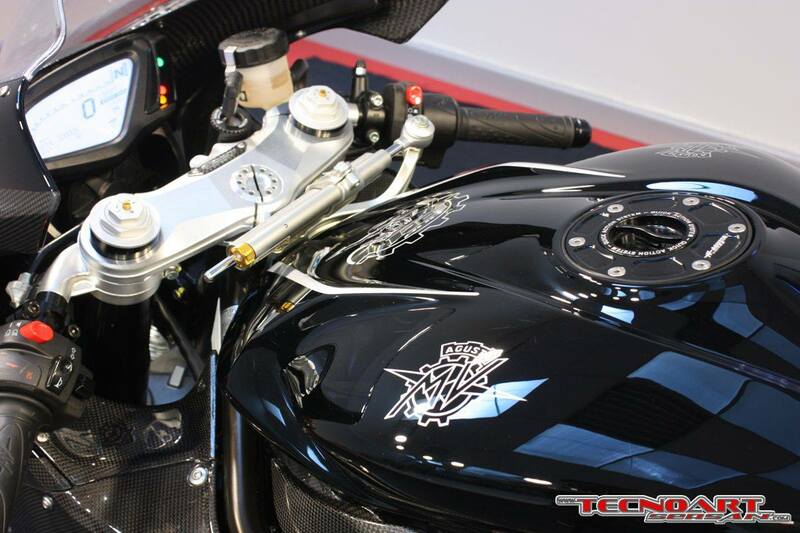 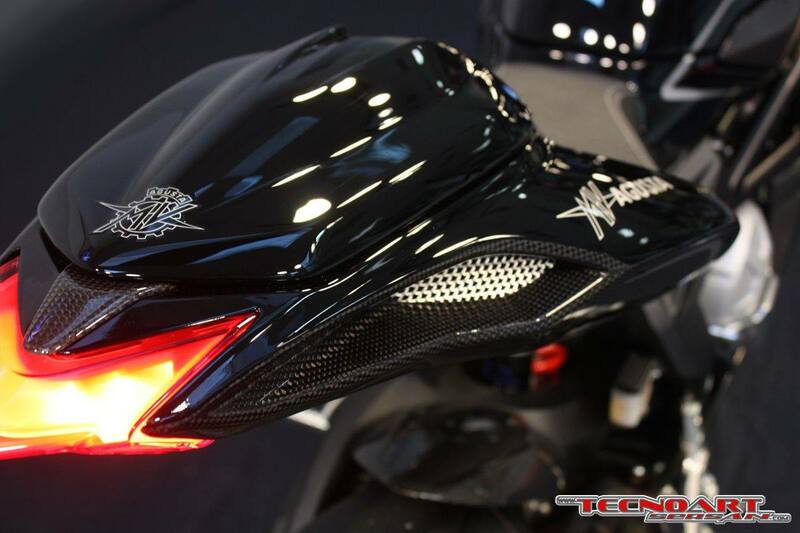 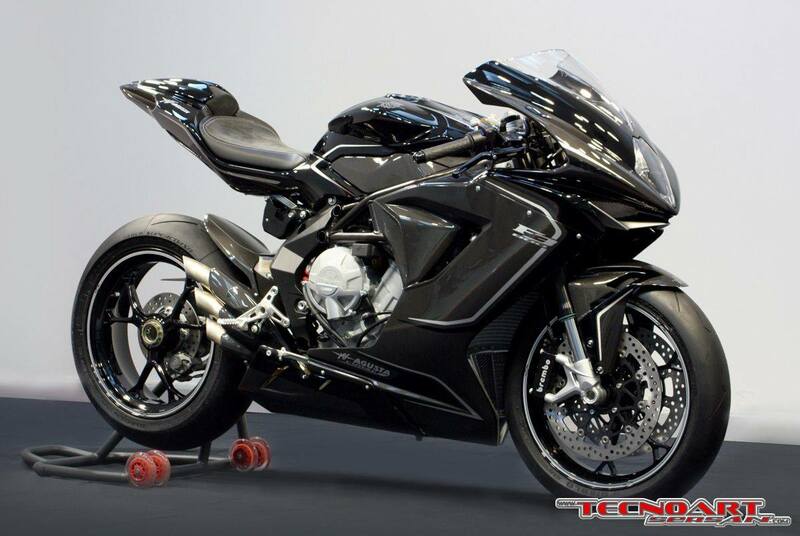 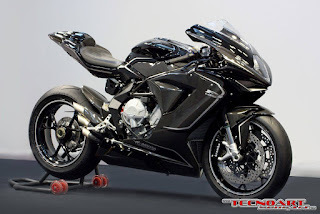 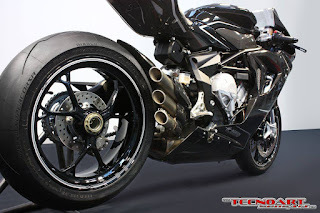 This MV Agusta F3 800, however, is only available as a "demo", one-off custom machine, with Tecnoart not mentioning anything about the possibility of creating a modding kit for sale. 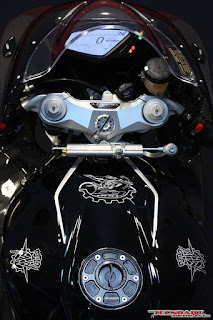 It was somehow funny to see a number plate on the upper clamp of the bike, reading "01-01" and meaning this is the first bike in a one-bike run. Pretty useless for a one-off creation, some might say, but doubtlessly a cool and very subtle statement aimed at stressing the exclusiveness of the F3 800 Oscura. This unique machine was created in official collaboration with MV Agusta, and comes with a certificate of authenticity signed by CEO Giovanni Castiglioni. 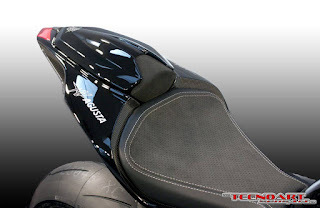 The entire bodywork was replaced with custom panels made from carbon fiber, crafted to perfection by aviacompositi.it, and the wheels were also ditched in favor of ultralight forged ones. 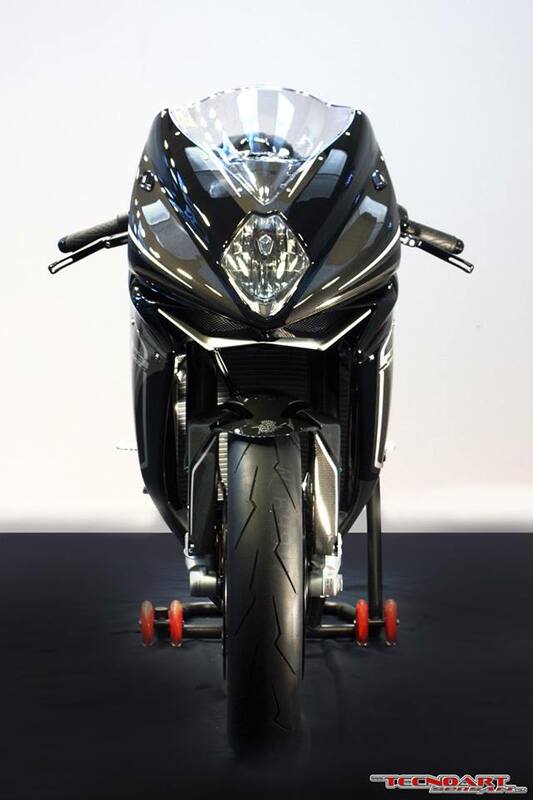 The rear now accommodates a 190mm tire for a more impressive attire. 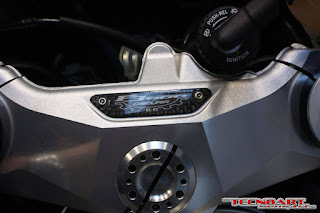 As the "motorcycle artists" of Schiranna gave their official blessing for the project, it was only natural that they also provided some extra add-on for the build. 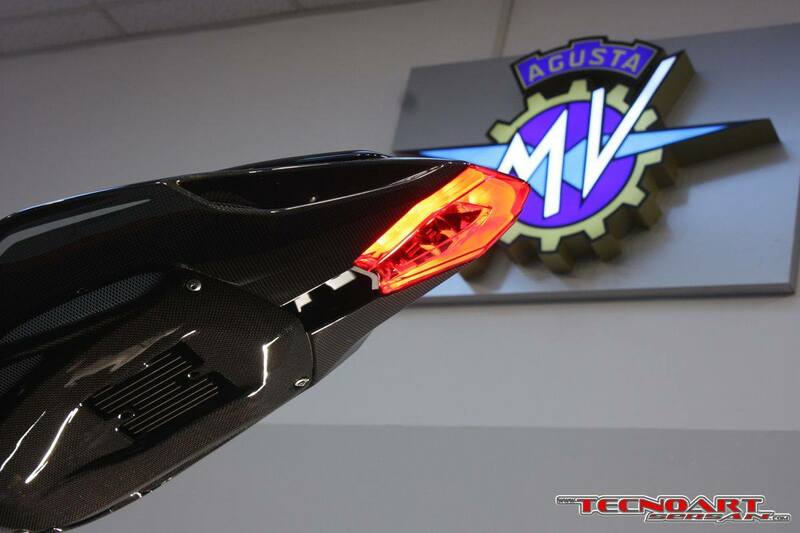 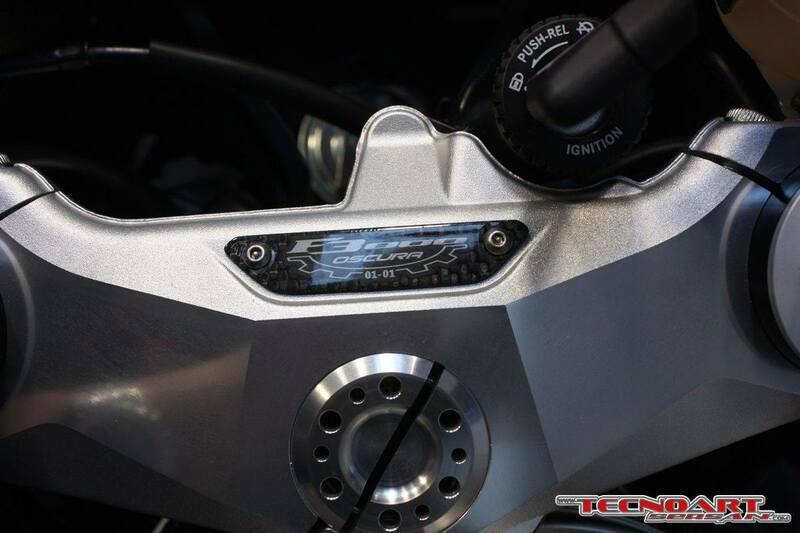 MV Agusta delivered a full kit of special parts made from billet ergal, and that adds both style and value to the resulting motorcycle. The seat was also reworked and received a custom genuine leather cover with perforated Alcantara and contrast stitching. 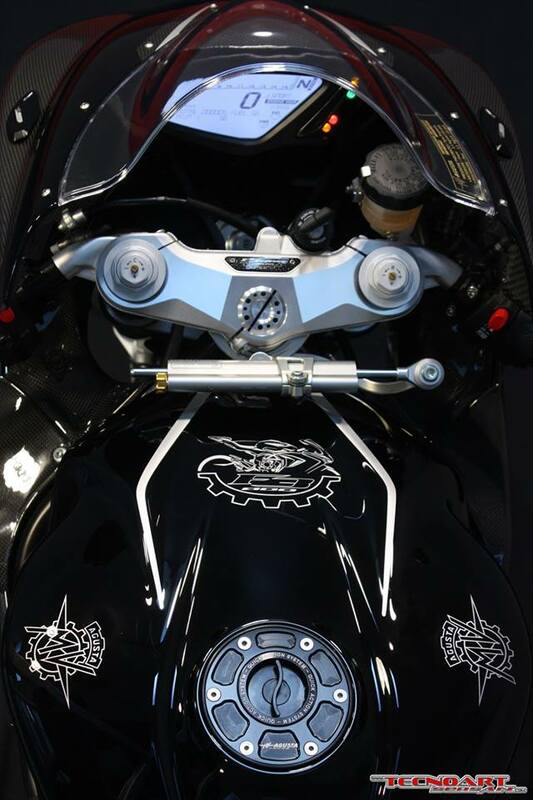 The graphic details are airbrushed by hand in order to match the exclusive standards already set for the machine. 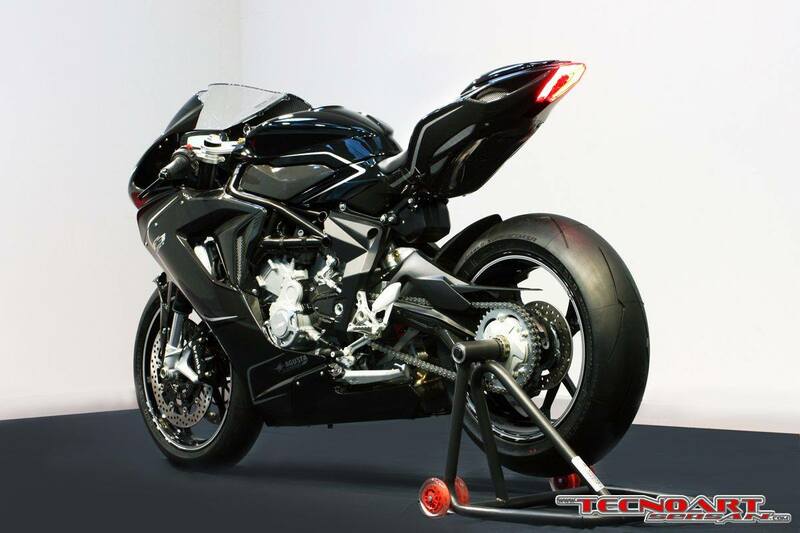 No passenger pegs were needed as Tecnoart Sersan delivered a bike for solo fun, only. And if you ask what's with the little box under the seat... that's the ABS modulator. The Oscura version is 3 kg (6.6 lb) lighter than the stock F3 800 so the lucky guy who will get this will have a bit of extra grunt to play with.